Rare snow blankets Iran's capital Jump to media player The heaviest snowstorm in five decades has blanketed provinces in northern Iran, cutting power supplies and trapping villagers. 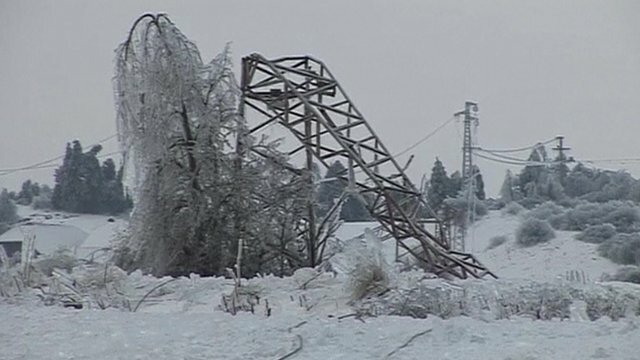 Slovenia hit by severe blizzards Jump to media player A quarter of Slovenians have been left without electricity, as parts of Europe battle some of the worst winter blizzards for decades. 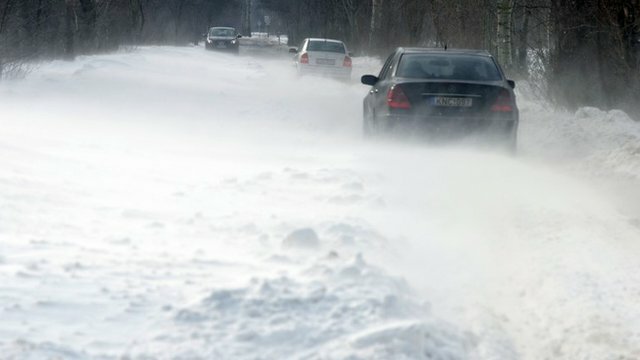 Serbians struggle in winter snow Jump to media player Hundreds of drivers in Serbia have been rescued after becoming stranded due to heavy winter snow. 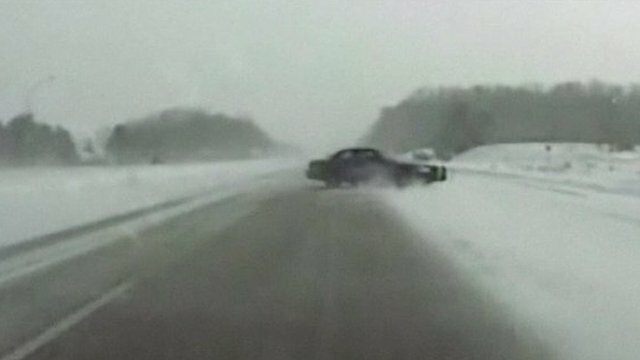 Spinning cars and snow rollers in US Jump to media player A second arctic blast has caused disruption in the Midwest of the US, with schools closing, airlines cancelling flights and emergency crews working to dig out major roadways. 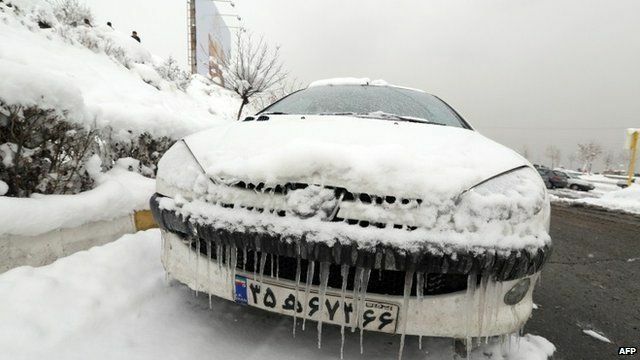 Heavy snow in northern Iran has left around 480,000 homes without power and some towns and villages cut off. The winter storms were the worst in 50 years, with two metres of snow falling in some areas since the weekend.